Vitamin D’s moniker – “the sunshine vitamin” – is fitting, since this superstar substance is synthesized when skin is exposed to sunlight. Vitamin D is a vital, fat-soluble nutrient, involved in myriad physiological functions. You might be surprised to hear that it plays a role in muscle, bone, brain, and immune strength, that can all lead to improved muscle growth and strength, and overall health. 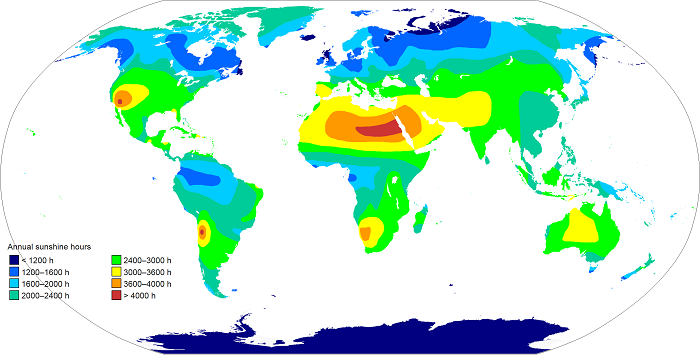 If you live somewhere that doesn’t provide you with adequate exposure to sunlight, then you could be one of the hundreds of millions worldwide who are chronically deficient in vitamin D.
Technically speaking, vitamin D is a prohormone – the manner by which it is synthesized by the body (when the cholesterol precursor 7-dehydrocholesterol is exposed to UV-B radiation), and that it must undergo activation by the liver and kidneys into calcitriol – a biologically active hormone. For simplicity’s sake, however, we’ll continue referring to it as Vitamin D.
Vitamin D has many benefits in maintaining a healthy body and brain, and plays many physiological roles, chiefly among which is calcium absorption. It also affects immune function, brain function and muscle health, all of which are critical to physical wellbeing – particularly as we age. Studies show that Vitamin D may decrease the risk of certain diseases, and help regulate blood pressure and body weight. People with low levels of vitamin D are more likely to hold extra bodyfat, and / or have less muscle mass. Let’s dig deeper into this often-overlooked vitamin. Vitamin D works in the gut to promote calcium absorption, helping the body maintain sufficient serum concentrations of calcium and phosphate, without which bone mineralization is hindered, and the risk of hypocalcemic tetany increased. Hypocalcemic tetany is a condition characterized by hand, foot, laryngeal, and other spasmodic reflexes. Vitamin D is required for bone growth and remodelling – a perpetual process in which mature bone tissue is removed from skeletal structure (resorption), and new bone tissue is created (ossification). Low, deficient vitamin D levels can result in brittle, thin, malformed, or soft bones, whose fragility render them prone to fractures. Obviously, symptoms you want to avoid if you spend a lot of time in the gym lifting heavy weights. Taken with calcium, vitamin D helps prevent osteoporosis, an initially asymptomatic but potentially debilitating condition characterized by bone fractures. Osteoporosis is the second-leading cause of disability globally. Muscles transform energy, allowing the body to walk, run, grasp, lift, throw, pull, push, and otherwise move. The musculoskeletal system – comprised of bones, muscles, ligaments, tendons, and other supportive tissue – plays a role in every physical activity. Research from four studies, published in the Journal of Strength and Conditioning Research, showed that muscle strength was significantly improved following vitamin D supplementation, while other research demonstrates a relationship between vitamin D and body composition: participants with higher vitamin D levels had more lean muscle mass, suggesting that vitamin D helps maximize muscle strength, and thus, the potential for muscular gains. Further, vitamin D has been found to increase muscle protein synthesis and enhance muscle contractions by binding to receptors. Jim Stoppani, Ph.D, recommends vitamin D as a crucial supplement for bodybuilders to optimize muscle function, size and strength. Vitamin D may also reduce pain from difficult or prolonged physical activity. Researchers from John Moores University, Liverpool, found that supplementing with 4,000 IU (international units) of vitamin D daily improved muscle recovery. The effects vitamin D exerts on muscle strength are of benefit to everyone, but particularly the elderly, as stronger, denser muscles aid in balance and proprioception, reducing the likelihood of falls and fractures. Vitamin D regulates testosterone, and we all know how important this powerful hormone is to building muscle and strength. In fact, researchers at the Division of Endocrinology and Metabolism, Medical University of Graz, Austria conducted a study – Eﬀect of Vitamin D Supplementation on Testosterone Levels in Men – found that those lacking vitamin D in the blood, had lower levels of testosterone. The study tested over 2,000 men and results showed that supplementing with vitamin D raised testosterone levels. In overweight men with deficient vitamin D status a significant increase in testosterone was observed after intake of 83 μg vitamin D daily for 1 year whereas there was no significant change in men receiving placebo. A healthy immune system protects the body against illness and infection, recognizing, attacking, and neutralizing bacteria, viruses, fungi, parasites, cancerous or otherwise damaged cells, and harmful substances. Properly functioning, the immune system differentiates between self and non-self (what does and does not belong in the body) organisms, cells, and substances. When dysregulated, the immune system can wreak havoc, overreacting to normally harmless substances (such as pollen), or attacking the body’s own cells. This process is called autoimmunity, and causes many diseases, including Graves’, rheumatoid arthritis, lupus, psoriasis, multiple sclerosis, inflammatory bowel disease, and dozens more. Vitamin D levels fall during the dark winter months when colds and influenza are most prevalent. It has been hypothesized that seasonally low vitamin D increases susceptibility to infection – a sound idea, given the stimulating effect of vitamin D on bactericidal protein cells within the immune system. A study in the American Journal of Clinical Nutrition demonstrated that a therapeutic dose of vitamin D markedly decreased the incidence of influenza infection. 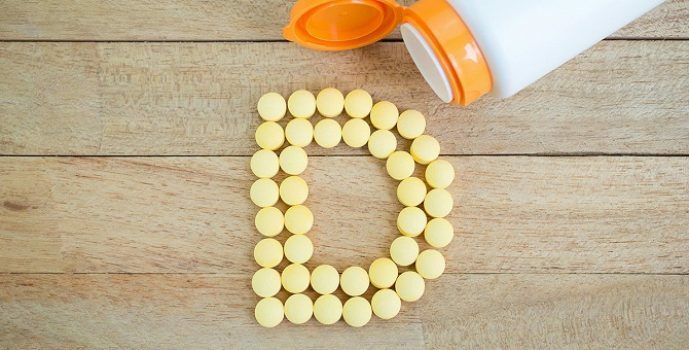 Vitamin D deficiency has been linked to numerous autoimmune diseases, including lupus, multiple sclerosis, rheumatoid arthritis, and inflammatory bowel disease, suggesting inadequate synthesis or intake may heighten the risk of autoimmunity. A strong, reliable immune system keeps us healthy and training at our peak. The brain is part of the nervous system, and does more than just think and remember stuff. It controls both gross and fine motor skills, speech, heart rate, respiration, swallowing and other involuntary actions, and processes tactile, auditory, visual, and olfactory information from the outside world. Low levels of vitamin D have been linked to a number of neurological disorders, including Parkinson’s and Alzheimer’s disease, which affect mood, cognition, memory and muscle motor function. A study in the journal Neurology found that even a moderate vitamin D deficiency was associated with an over fifty percent increased risk in the development of dementia – and a severe deficiency was linked to a one hundred and twenty two percent increased risk. Other research has shown that, compared to those with optimum vitamin D levels, people in the lowest quartile were over twice as likely to be cognitively impaired. And some studies suggest that seasonal affective disorder may be caused by a decline in vitamin D, brought about by the lack of sunshine in winter. Vitamin D plays a role in the synthesis of serotonin, a neurotransmitter involved in mood, and often believed to be deficient in those with clinical depression. Many studies show an inverse relationship between vitamin D levels and cancer – colon cancer in particular. The lower the levels, the higher the cancer risk. 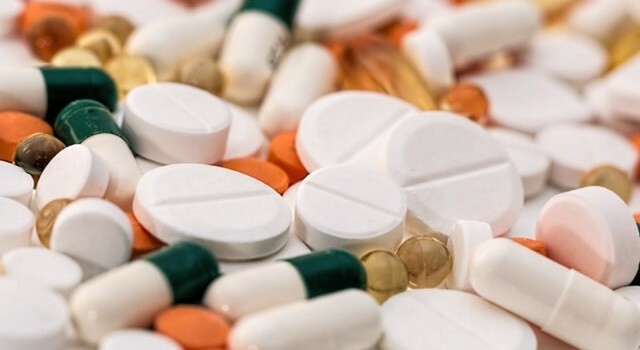 It remains unclear if vitamin D supplementation definitively lowers the risk of cancer development, but on the basis of mounting observational evidence and the prevalence of vitamin D deficiency, sixteen scientists have issued a “call for action” on vitamin D and cancer prevention. Similarly, an observation of 70 newly and 80 formerly diagnosed type 2 diabetic subjects demonstrated that low vitamin D status doubled the risk of a type 2 diabetes diagnosis, even after adjustment for body mass index, and numerous physiological and environmental factors. It has been noted by the American Diabetes Association that vitamin D metabolism occurs in the liver and kidneys, and the resultant calcitriol must bind to vitamin D receptors. Diabetes affects both organs responsible for vitamin D metabolism – as many as 1 in 4 diabetic patients suffers from kidney damage, while 1 in 2 have non-alcoholic fatty liver disease. Left unchecked, chronic hypertension can be dangerous, increasing the risk of heart attack, heart failure, stroke, weakened or damaged blood vessels, and cognitive difficulties. Though conclusive evidence is lacking, a number of studies have drawn links between vitamin D inadequacy and hypertension, and demonstrated a decrease in blood pressure concurrent with vitamin D supplementation. Obesity numbers in the United Kingdom, United States, Canada and other developed countries continue to rise. Nearly seventy percent of American adults are overweight or obese. Excess body weight has been linked to a host of health problems, including cardiovascular events, hypertension, diabetes, cancer, and arthritis. Low vitamin D levels are frequently observed in overweight individuals. It is believed that the hypothalamus – a forebrain region responsible for controlling thirst, hunger, body temperature, and involved in numerous hormonal and emotional processes – detects low vitamin D levels. When this occurs, the body’s set point (the weight level at which the body most optimally functions) may increase, concurrent with the release of hunger-stimulating hormones. Fat is primarily stored in adipose tissue under the skin, as well as muscles. It’s been found that those with low levels of vitamin D have higher levels or muscle fat compared to those with high levels of vitamin D.
Fatty muscles impair strength, endurance, and insulin sensitivity. The best natural source of vitamin D is sunlight. As I write this, I’m looking out my window and I see the common cold grey skies. No sunshine, that’s because we don’t get much here in Scotland. Are you getting enough sunshine where you live? When bare skin is exposed to UV-B radiation, vitamin D is synthesized, undergoing a complex process in which it is transformed into its biologically active form. The brighter the sunlight, the larger the area of exposed skin, and the longer the duration of exposure, the more vitamin D is produced. However, with sun exposure comes an increased risk of sunburn, photopigmentation, and skin cancer – particularly for those with fair skin – so don’t overdo your sunbathing. It’s not accurately known how much exposure to sunlight is optimal, because things like skin pigmentation, genetics, intensity of light, are factors that influence the body’s production of vitamin D.
Experts recommend that 5 – 20 minutes every other day around noon is ideal. Fair skin requires less sun exposure than dark skin. Vegetarians, indoor workers, and those residing in sunlight-poor areas may increase their vitamin D levels through the use of dietary supplements – like I do. Vitamin D supplementation is generally regarded as safe and beneficial. Recommended daily allowance recommendations vary – from as few as 200 IU per day (and up to 1,000 IU per day during winter) in the United Kingdom, to between 400 and 800 IU per day in Canada and the United States. However, widespread deficiency has prompted renewed discussion, with some researchers suggesting up to 5,000 IU daily for adults, and up to 1,000 IU per pound of body weight for children. Vitamin D can be taken on an empty stomach, though vitamin D is fat soluble, and some suggest it may be better absorbed when taken with food. That fat solubility makes flexible dosing possible: a University of Toronto research team found administering the equivalent of a daily dose of vitamin D at various intervals – as much as 45,000 IU every 28 days – yielded no significant difference in blood levels. Excess vitamin D is stored in adipose tissue and released by the body as needed. I’m currently taking one 2,000iu capsule every morning. Anywhere from 1,000ui – 2,000iu daily is ideal. There exist two forms of vitamin D – D2 and D3 – but only one is of particular benefit to human health. Vitamin D2 (ergocalciferol) is often found in less expensive supplements and fortified food products. Vitamin D3 (cholecalciferol) is synthesized by the exposure of bare skin to sunlight, and is most abundant in oily fish, eggs, and dairy products. Vitamin D3 is roughly three hundred percent more bioactive than vitamin D2. If supplementing with vitamin D, ensure the product contains only cholecalciferol. Additionally, recent research demonstrates a synergistic effect between vitamins D3 and K2, the latter of which aids in correct calcium utilization, minimizing unwanted calcium deposition – and may further reduce the risk of certain cancers. Vitamin D is a true superstar: it’s affordable, and provides considerable benefit to body, muscles, bones, and brain alike. Consider supplementing with it, and increase your consumption of vitamin D-rich foods to maximize your health and results from the gym.